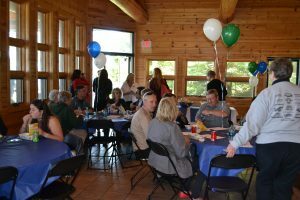 In the Community Foundation world, it is very easy to get caught up in the details of operations, finance and fundraising. Last week I was acutely reminded that although important to our success, our true purpose can easily be forgotten, when planning annual celebrations and creating budgets. 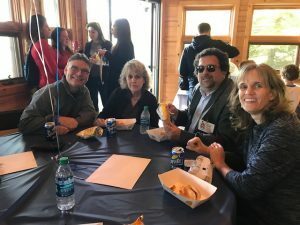 I was invited to attend a celebration and dedication of a recently renovated/rehab Habitat for Humanity home in Ishpeming. I put it on my calendar but when the day came it was very cold with a heavy wintery mix of snow and rain falling, I was less than excited about attending. 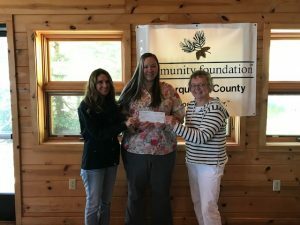 The Greater Ishpeming Area Fund granted $1,500 to the Women Build Program to build a wheel chair accessible ramp for Patty Barry and her family. 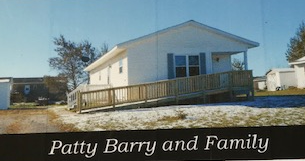 As I stood in Patty’s new living room with no furniture and the smell of fresh paint, surrounded by her friends, family and community I was struck with a truer sense of community than I have ever witnessed. Patty’s handicapped son was propped at the back of the room, his legs unable to help him stand. I was told he needed the ramp, so he could get himself into the house because he typically used his arms, not his legs, to get around. When Patty spoke, she described the pain of losing her husband last fall and the renewed hope she experienced when she took her first tour of the home. Even though she knew it needed a ton of work, she could finally feel a sense of hope and visualize moving forward with her son and daughter. 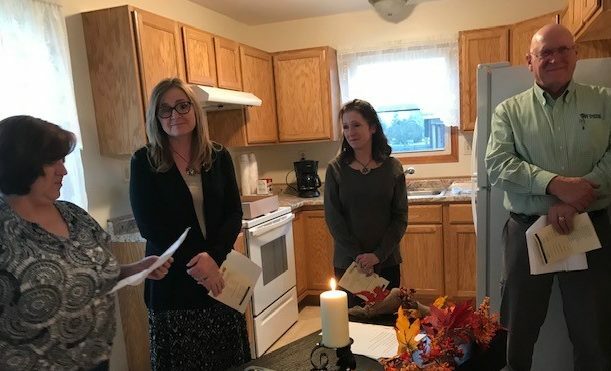 Standing in her tiny dining area, she profusely thanked Habitat for Humanity, the Ishpeming Community Fund, the Community Foundation of Marquette County, her friends and family who all spent countless hours working alongside her to make this house a home. I stood there feeling very grateful to be a part of something so much bigger and important than anyone of us standing in that room. 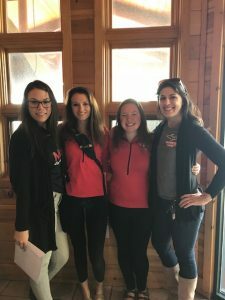 The power of community is so much more than writing a check. Today I am grateful to have participated in that very special dedication and have resolved to value the invitations to witness wonderful moments such as these. This is why we serve. 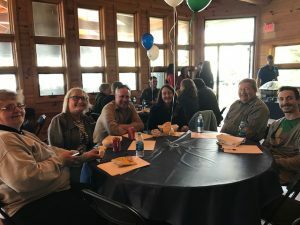 The Community Foundation of Marquette County had help from the Community Economic Development Association of Michigan organizing focus groups at Bell Memorial Hospital Wednesday, where Ishpeming community members answered a series of questions. 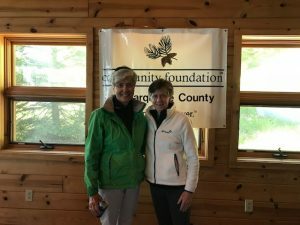 "What are the major problems and challenges the community faces, what would you like to accomplish in your community, and if money was no object, what would your dream be,” asked Gail Anthony, CEO of the Community Foundation of Marquette County.The Community Foundation secured a grant through the Council of Michigan Foundations to help facilitate development in the county. The grant helps find funding from across the state that will then go to projects in the community. 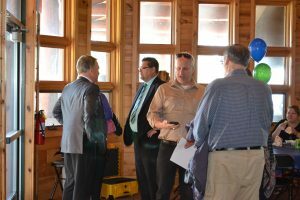 "So while there are no dollars that are being expended right now, the plan is in the future to really see where the community foundation should be placing their dollars," said CEDAM executive director Jamie Schriner.Community members at the focus groups consisted of city officials, service providers, business owners, and youth and educational professionals. The most common issues brought up by the groups were blight issues, education, a need for community pride, and above all else, housing. 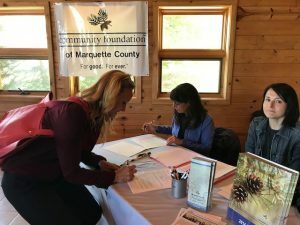 "A need for diverse housing, which we are hearing all across the state right now, and actually all across the country," said Schriner.CEDAM will write a report from Wednesday’s findings within a month for the Community Foundation of Marquette County. 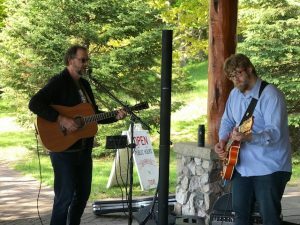 The foundation then hopes to get to work with the Ishpeming community on securing funding for projects. They will then expand this process across the county. "In the next year we'll be touching communities throughout Marquette County,” said Anthony. “We've identified 10 or 12 that we'll be touching either in the dialogue dinner format or this community assessment format." 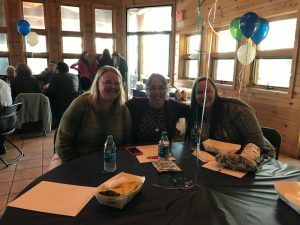 2018 Grant Distribution Event at Presque Isle Park a smashing success! 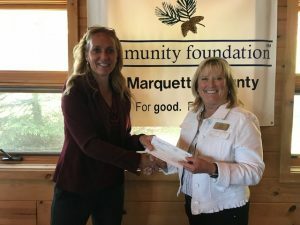 The Community Foundation of Marquette County awarded over $73,000 in grant checks to successful applicants of the 2018 competitive grant cycle. 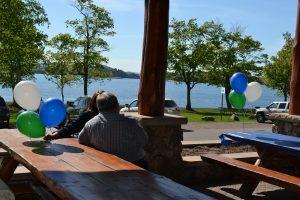 Community funds generated through a multitude of local donor gifts invested wisely over the last 30 years produced funds for Big Bay, Gwinn, Ishpeming, Negaunee and Marquette. 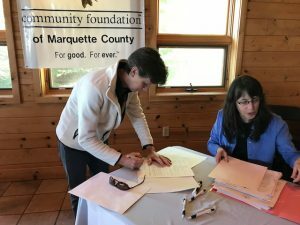 Grants from a number of these funds were distributed for varied projects throughout Marquette County. 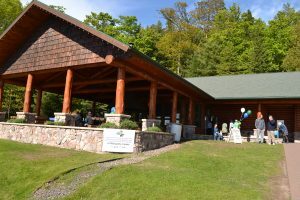 115 applications produced a total 79 grants with projects ranging from an indoor rock-climbing wall for Negaunee Public Schools to funding for the Prime Time Family Reading Program at Peter White Public Library. 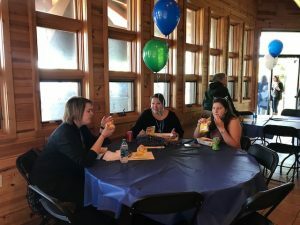 The new venue allowed easier access for media to grant recipients, resulting in two very nice articles in the Mining Journal and a story run by TV6. 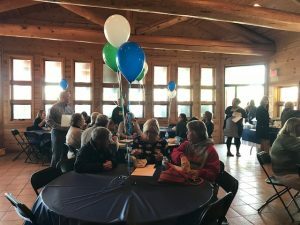 It was a great opportunity for grant recipients to share their stories. Please click here for a listing of the grants. 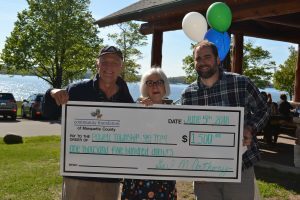 Three component funds of the Community Foundation came together on June 5, 2018 to support the Powell Township Recreation Network. 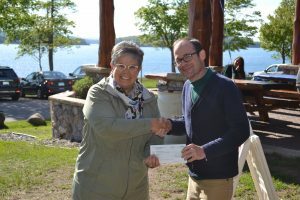 Health and Wellness Fund, Community Advised Big Bay Fund and the Robert Cowell and Kathleen Olivier Donor Advised Fund provided $500.00 grant each for a total of $1,500.00. 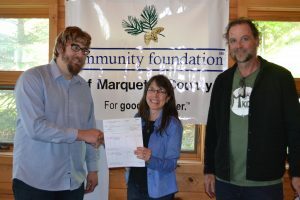 The grant proposal was submitted to the Marquette Spring Program 2018. 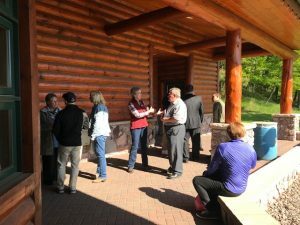 Powell Township is reinvigorating its activities in relation to trail development after 8 years of development of two parks in the township-- Thomas' Rock Scenic Overlook and Burns Landing. The investment in used equipment is necessary to move forward to maintain existing trails and to create an access trail for the youth from Powell Township School. The sense of accomplishment as one conquers a situation which might otherwise be out of reach is very powerful. 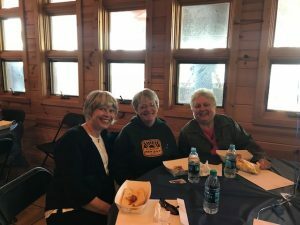 The Silver Sampler Summer Seniors offered a new set of outdoor recreation experiences for seniors 55 and over who live within the service area of the Marquette Senior Center. 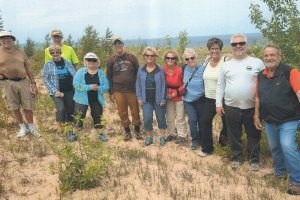 With a goal of introducing seniors to new hiking trails and water pathways and hopefully revisiting some of the special places they discovered in the past. 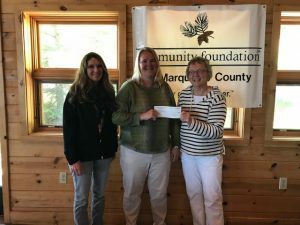 The $500 grant from the Community Foundation was used to engage Senior Citizens in outdoor activities to enhance their physical, emotional and community growth and increase awareness and skills in outdoor recreation in and around Marquette. 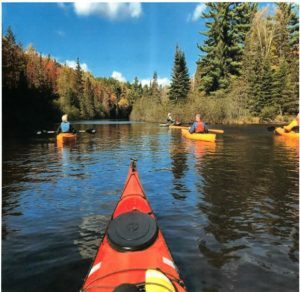 Participants have been able to explore numerous outdoor venues (hiking and kayaking) and have also been introduced to non-program events such as races, hikes and biking opportunities offered in the community. One returning participant from last year was anxious to rejoin in 2017, she signed up for all the scheduled events. Unfortunately, her husband had a serious stroke. Immediately, group members, the group leader and the project director reached out to offer support. They stayed in contact with her. She later returned to the group saying the group “saved” her! 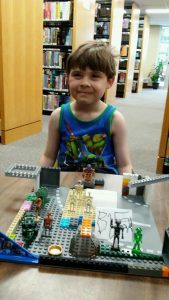 The Forsyth Township Public Library received a grant to fund their Lego Club program. 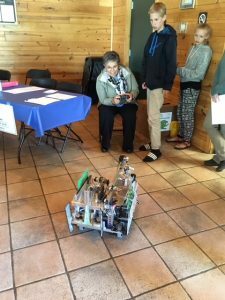 The grant helped them purchase a variety of building clocks and idea books in preparation for the launch of Lego Clubs for children of varying ages in the Gwinn Community. The Lego Clubs launched during the Summer Reading Program at the Library. A total of 82 children and 34 adults attended the twice-weekly clubs during the six-week program. They began offering After School Lego Clubs in September twice per month serving 52 children to date. They are now able to provide children with snacks as well. They also offer Duplo building once per month at our weekly Story Times for our younger patrons to enjoy. Children are learning to share and work together. They are excited about reading the Lego books that have been added to their collection, which strengthens literacy and promotes a love of reading. 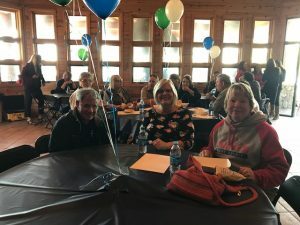 Healthy living will continue in Marquette County schools, preschools and day cares this year all thanks to a 100,000 grant from The Michigan Health Endowment Fund. 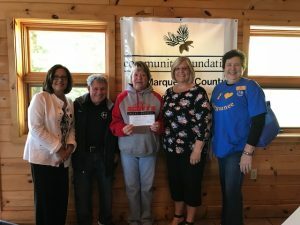 Marquette-Alger Regional Educational Service Agency (MARESA), and The Superior Health Foundation and the Community Foundation will be using the money to ensure the continuation of the PE-Nut Expansion Project (P.E.P). 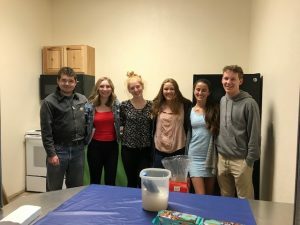 The program is targeted at increasing fruit and vegetable consumption and physical activity of students in nine local elementary school and Early Childhood Programs in Marquette and Alger Counties. As part of an in classroom component of the program a health educator visits the schools several times a year to ensure simple consistent messaging to motivate students. 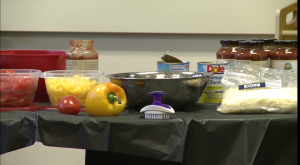 Students also get the chance to build their own healthy meals in those classroom settings. The foundation's CEO, Gail Anthony, is confident the lessons will provide a unique spin on health education. 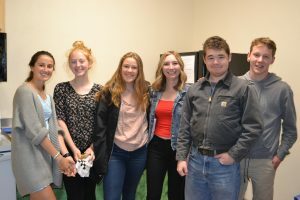 "They introduce them in a fun way, hands-on activities, it is increasing the use of healthy foods in the home," said Anthony. 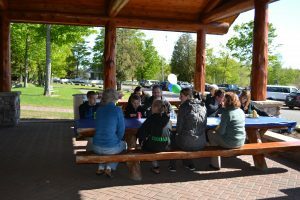 "It's a fun activity and it's a good outcome for the families." A new feature of P.E.P. is the addition of a new target audience of four-year-olds and their parents, along with an increased role for area grocers and produce departments. They are calling it the “Healthy Heroes” component of the grant. Pre-schools will start distributing punch cards that entitles each child to one free fresh fruit or vegetable per month for six months at participating grocers. Families of the pre-schoolers will have access to a P.E.P. web page that links the fruit or vegetable of the month with recipes, resources and fitness/activity ideas. Cards will be punched for all 6 months and turned in for one of five “Healthy Heroes” grocery store gift certificates in the amount of $100.00. Five major grocers have committed to partnering with MARESA. 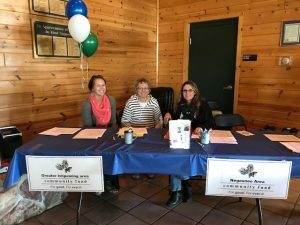 Participating grocers include Tadych’s Econofoods, Marquette, Super One, Negaunee, Jubilee Foods, Ishpeming, Larry’s Foods, Gwinn and Family Fare Supermarket, in Munising. 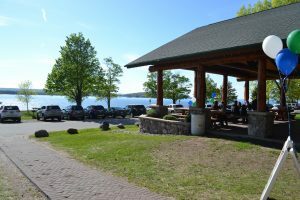 The Negaunee Public Library has installed a remote dropbox at the Negaunee Township Hall along M-35. 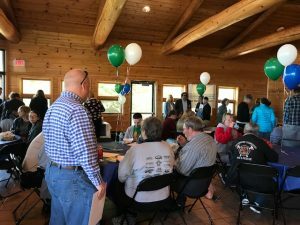 A ribbon-cutting ceremony was held Friday. 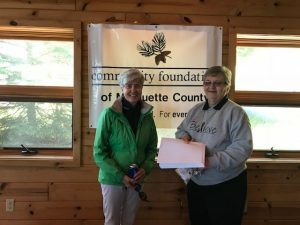 The dropbox was made possible by grants from the Community Foundation of Marquette County, the Institute of Museum and Library Services and the Phyllis & Max Reynolds Foundation, as well as the hard work of the Friends of the Negaunee Public Library and the Negaunee Township staff. Patrons will be able to drop off their books and other materials at the new dropbox, which will be emptied on a weekly basis. 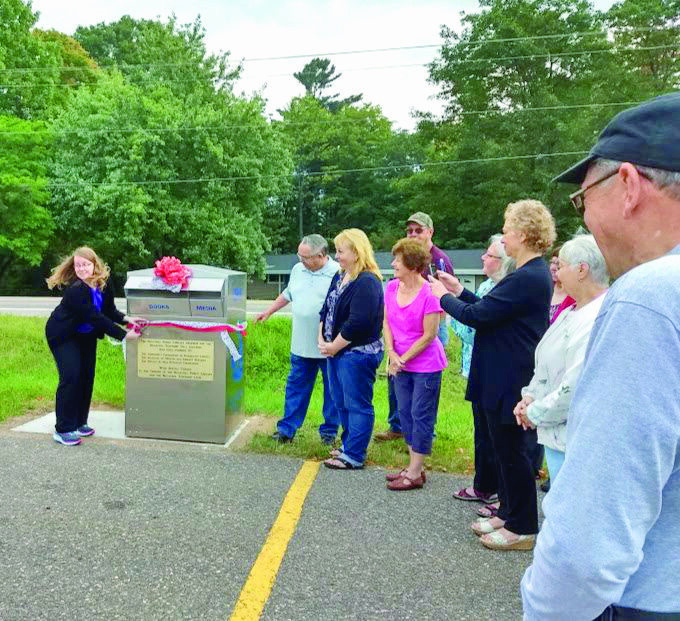 In the above photo, Library Director Jessica Holman cuts the ribbon on the new dropbox while Negaunee Township Supervisor William Carlson, Negaunee Township staff, Friends of the Negaunee Public Library, and Deb Biggs of the Library of Michigan look on. About 50 kids got free new backpacks Wednesday evening at the St. Francis Connection Center in K.I. Sawyer. The kids, who were all grade schoolers and middle schoolers, were able to select the backpack of their choice once their number was drawn by one of the center’s leaders, Father Al Mott. “Today was about getting kids excited about going back to school and helping parents to do that,” Father Mott said. It certainly worked on Scott McConnell. The Gwinn Middle School 7th grader was proudly showing off his backpack, which was camouflage. “It does actually bring out the school spirit in me,” he said. “Go Gwinn!" McConnell says getting enthused about returning to school can be a challenge for both students and teachers. “Sometimes school can actually be hard on the student and the teacher,” he said. “Therefore, it makes it harder for both to actually get happy to go back to school." 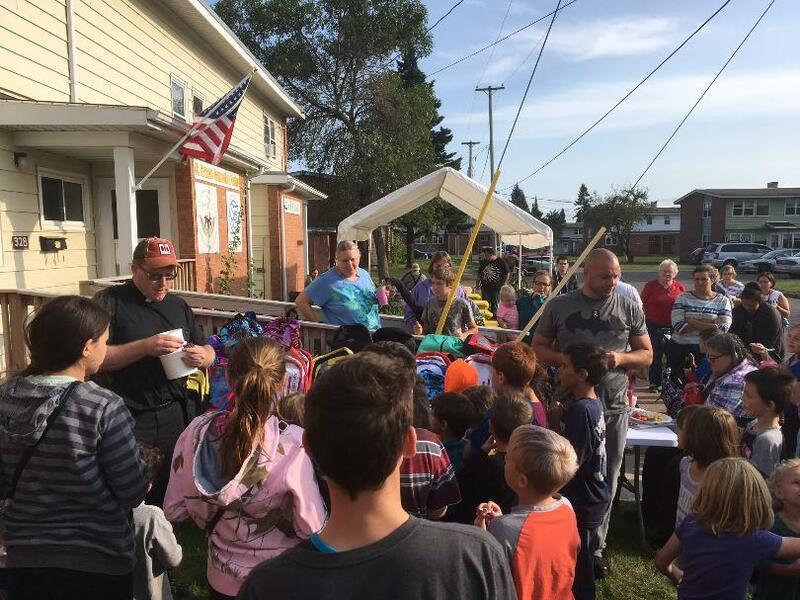 The backpacks were made possible by donations from parishioners and the American Legion, as well as a generous grant from the Community Foundation of Marquette County. All in all, Father Mott feels the mission of the event was accomplished. 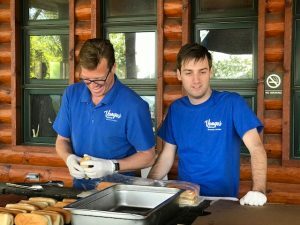 “Well, it was great, we had lots of volunteers, and we had good food, and root beer floats, which everybody seemed to love,” Mott said, laughing. “So it was a great success." Let’s Build Together this Summer! Birds in Palmer had some new spots to nest Monday evening, July 17th. 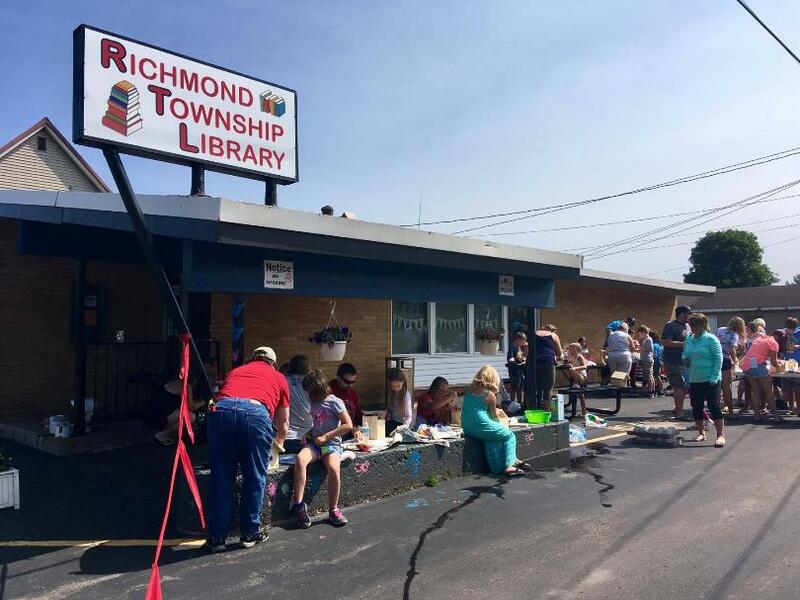 About 50 kids spent the day making birdhouses at the Richmond Township Library. With some help from parents, kids attached wooden parts, sanded rough corners and decorated their finished birdhouses. The birdhouses didn't come with any specific kind of mounting, so the kids could choose where to put them. "Some of them want to put them in their bedroom as decoration," Library Director Jan St. Germain said. "Some of them are going to take them out. You can put them on a pod, like a tripod, if you want. They can hang them in a tree, whatever they want. They can put their personal touch on how they hang them." 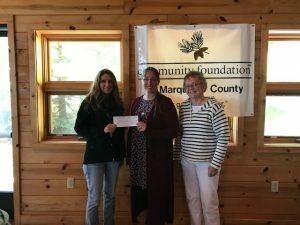 The library funded the event with a $1,000 grant from the Negaunee Area Community Fund, an affiliate of the Community Foundation of Marquette County. The grant also covers the library's entire summer reading program. 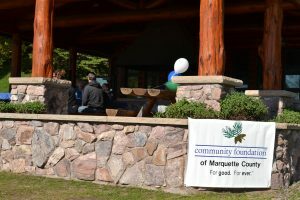 Stay up to date with CMFC by signing up for our newsletters for Marquette non-profits. Copyright CFMC © 2016 All Rights Reserved. Site by La Dolce Video & Design.